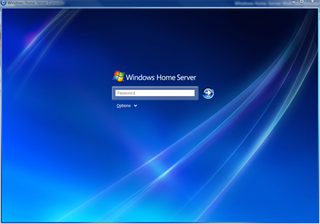 Click to viewMicrosoft has a difficult challenge ahead of them in convincing people that they need Windows Home Server. After all, having another computer in the house—especially one that doesn't have a screen, a keyboard, or a mouse—isn't something people are shoving each other in the face for. But when families take a good long look at what WHS can do, like automated, centralized daily backups, simplified remote access, storage expansion and network file sharing, they may just change their minds. We got our hands on a Norco DS-520 Home Server, one of the first pre-made boxes available, and definitely loved what we saw. Before the software, here's the hardware we used to explore WinHoServer. Norco's DS 520 has a 1GHz Celeron M processor, up to 1GB RAM, eight SATA II channels, 3 eSATA ports, four USB 2.0 ports, two Gigabit Ethernet ports and a total capacity of 8TB when using 1TB drives. It's got an MSRP of $649, which may seem high for a headless machine, but it's not quite like a standard Windows machine you've used. True, you can make a Windows XP or Vista machine into a NAS that backs up and has RAID and allows remote access, you need deep networking and computer experience to do so. WinHoSo is designed for the average family with more than one computer. And you pay for both the convenience and the upgradeability. Here are the main features Microsoft will be using to sell this to you. Backup: Much like Vista itself, Windows Home Server allows you to back up your computer drive by drive to one centralized location. You can even do this with every computer in your house, provided you've got enough space installed on your Home Server. Like Time Machine in Leopard, this is a fire and forget method of backing up that's painless and easy enough for your mom to do (and if she can't, you can always remote access in and do it for her). We set our Vista machine to back up once a day and it's done by the time we wake up in the morning. Network Storage: Another one of the main features allows you dump all your files off your computer and onto your network. Homes that have more than one machine can consolidate music, photos, and movies so the files can be accessed anywhere. For example, you can stream music to your Xbox 360 directly from the server. It depends on each OEM's implementation of the software, but most have hard drive slots in front that are hot-swappable, plus eSATA ports and USB 2.0 ports in the back for easy external expansion as well. All the drives—including external ones—are consolidated into one big pool that services your network. When you plug in a new drive (as shown above), it will format (assimilate) the drive and add it to the hive mind (Borg Collective). What's great about this network storage is that it's essentially a poor man's RAID. You can choose top level shared folders on your server for file duplication, which backs up the same files onto another one attached hard drive for redundancy in case one drive fails. There's also access rights for different users so you can keep your "photo" directory separate from your family vacation pics. And since it's an SMB network share, OS X and Linux machines can use it as well. Remote Access: In addition to being able to access your files through the network, you can also grab them over the internet with remote access. Setting it up was extremely easy, which is a credit to Microsoft to boil down port forwarding and domain registration to something normals can do. To enable it, just head to the settings, switch on the feature, and the server will auto-configure your router via uPNP. After that's done, you go through the handful of steps to register a free domain name (yourname.homeserver.com is the result) and you can now grab your files from anywhere. What's even better than accessing files from outside your home is accessing actual computers. Home Server allows remote access connections for privileged users (ones you give permission to) to control certain machines on your network. Connecting requires Internet Explorer, so non-Windows PCs are out. This reiterates the point that this is a Windows ecosystem-focused product. However, we couldn't get remote access to work correctly on 3 different machines we tried—it kept giving us a timeout which we suspect is a firewall/router issue—but we'll try again and update on how well remote access works when it actually does. Monitoring: In addition to hot features like backup, file share and remote access, there's small features that let you keep your home network in check as well. WinHoSo can monitor the status of all computers connected to it via the Network status section. This, as shown above, lets you see the status of each computer's firewall, antivirus and whether any updates are pending from one place. For families, you can see if your kids have disabled the firewall or the antivirus because they wanted to play some trojan-laced game they downloaded. Extendability: The Windows Home Server platform also serves as a base for plugins, which either extend the functionality software-wise or act as a gateway or driver for some piece of hardware you're using. Announcements for these will come soon, but suffice it to say things sound very promising. Do It Yourself: For those of you who already have a spare machine you can use as a WHS node, you can already pick up an OEM copy from Newegg for $179. The installation process takes about an hour, after which you'll be set up with your own Home Server without having to buy a pre-made machine. In more ways than one, the WHS product reminds us of Windows Media Center Edition, a design that started out as a niche product but was updated and improved every year to be so great that it eventually outsold standard editions of XP—and then incorporated full out in Vista.